Depending on your needs, if you are thinking of exchanging a SP3 out of warranty, you may want to forego the Microsoft exchange and look elsewhere. Walmart is currently offering a Certified Refurbished 128GB i5 for $459.00, with a ONE YEAR WARRANTY. There are other deals out there (eBay, NewEgg, Amazon, etc.) but be careful as some of these state “minimum of 90 day warranty”. 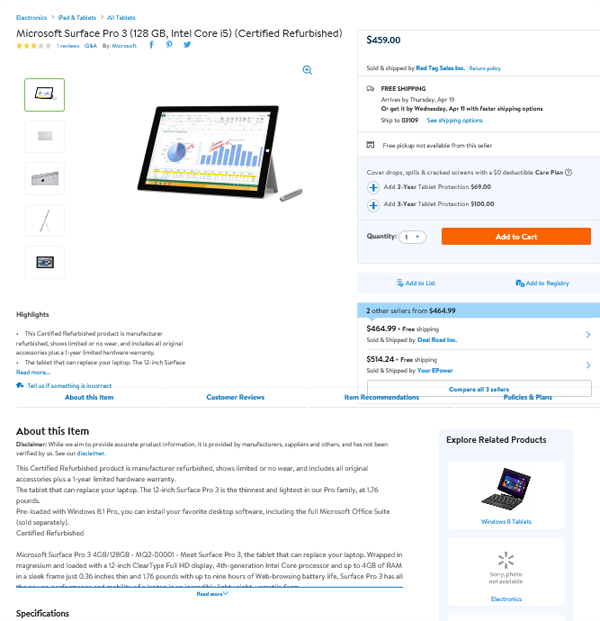 My advice, the only reason to go the official Microsoft route for a SP3 is to see if they will upgrade you for the same price to a refurbished Surface Pro 2017. That’s probably worth $600. 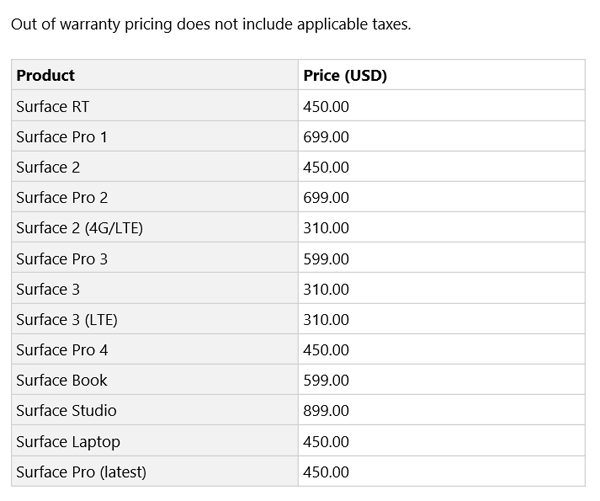 I don’t know why Microsoft’s out of warranty pricing for this device suddenly jumped $150. If anyone out there knows, please let me know on Twitter @barbbowman.